Dedicated to providing programming that edifies, uplifts, entertains and ministers to the heart of a people. Sonialina Productions is a full service production company. We bring a diverse skill set and competitive advantage that makes us unique in the world of film and video production. All our talent works regularly in the world of studio and independent film and television. When you hire Sonialina Productions, you are getting premium talent that is behind some of the entertainment industry's most cutting edge content. Our filmmaking experience ensures an emotional and intellectual depth to each project that will only improve the final result. 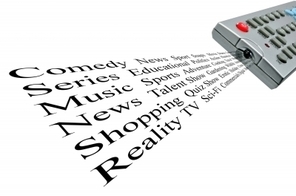 The media landscape is quickly changing and we understand it can become confusing. Sonialina Productions will help you communicate your message creatively and effectively through film and video. Every client is unique and every project is different. Our job is to help shape your ideas into a solution that is right for you. Every project we work on is analyzed in terms of creatively, economic feasibility and marketing effectiveness. We help you navigate through potentially costly pitfalls which might derail your project.